Americans have long held governments, as well as politicians, as not quite worthy of trust. With a public that already believed that governments trick the citizenry to enrich politicians and insiders, people have been further shaken in recent years. In the past decade or so the public was given false justification for the Iraq War, witnessed Jack Abramoff corrupt clients and Congress, and seen that the change we once believed in turn into a series of drone strikes and citizen dossiers. These are only a tiny fraction of what has been eliminating the public's last hopes for integrity in DC. Diogenes, the Greek philosopher who hunted for a single honest person with a candle in hand, would use a lot of wax in the Beltway. Trust was the rule for most people's feelings about the work that I did during my tenure at Amnesty International USA (AIUSA). When I was Executive Director there, staff weren't running back and forth between working for the American government and nonprofits. People at these organizations did not seek high salaries or power, but remained dedicated to making the world better. After leaving Amnesty, they went to found or work for Equality Now, the Center for Victims of Torture, the Natural Resources Defense Council, and the like. They became activists and lawyers and entered service for helping people. The remunerations were smaller, but it wasn't about chasing money. It was to confront problems and to change the world for the better. Helping is now big business. Human rights groups have become big industries with big salaries. While I do not believe activism is better with poorly paid staff, the focus should be on helping others rather than personal gain. Those working for the oppressed should have some humility in terms of wages, a sense of propriety in short supply given the top salaries at nonprofits like Human Rights Watch (HRW), World Vision, and even Amnesty International. Americans already have an odd relationship with charitable giving. In a recent report, for monies given by citizens, the USA doesn't make the top ten of countries and is outranked by both developing and developed countries. Maybe this is in line with an aversion to debt. However, in country rankings in categories like "helping a stranger in need of assistance" or "volunteering," the United States is in the global first and third spots, suggesting a deep desire to help others. Nonprofit work is respected and there is faith that they do good and really work for others. It is a faith is no longer given to politicians, the government, nor even to the media. So a huge splash was made this spring when a letter was sent to Kenneth Roth, the executive director of HRW, a human rights organization headquartered in New York City that deploys research, education, and advocacy internationally, and which the letter criticized for an apparent revolving door to-and-from the American government. The letter was sent on May 12, 2014 and was signed by Adolfo Perez Esquivel and Mairead Maguire (both Nobel Peace Prize Laureates), Hans von Sponeck (former Assistant Secretary General of the United Nations), Richard Falk (United Nations Special Rapporteur on Human Rights in the Palestinian Territories), and over one hundred other scholars. It discusses Tom Malinowski's move to Assistant Secretary of State and shows how Susan Manilow, Myles Frechette, Michael Shifter, Miguel Diaz and others moved into the State Department after time at HRW or moved directly to HRW from State. 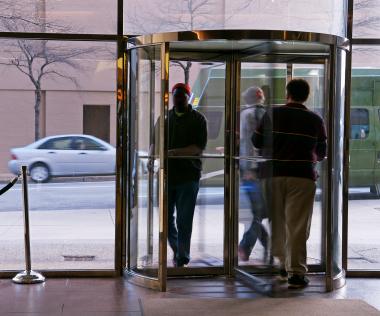 It specifically calls on HRW to close the "revolving door" between HRW and the US Government. They urged the adoption of a suggestion made by major funder George Soros that HRW should be "more international, less an American organization." The letter is a powerful indictment of the relationship that exists between many human rights organizations and the US State Department. You should take the time to read the letter linked here at AlterNet, to see that HRW certainly seems to take cues from the government rather than maintain independence. The letter spawned a number of articles and responses in the media. A lack of independence in any human rights organization is troubling, especially when it comes to bending to a government's aims. It makes human rights appear to be open to an a la carte model where the United States government can just take what it likes and ignore the rest. The agenda of the USA is not the agenda of the human rights movement. The entire point of the Universal Declaration of Human Rights (UDHR) is that rights are universal culturally and over time and in all circumstances, and that is precisely why organizations must maintain independence from governments and loyalty to the principles in order to maintain credibility. Human rights organizations should be beyond politics. They must aim to protect rights for all people, even (or especially)when that protection brings them into conflict with the governments seeking to ignore those rights. For these ideals to progress, human rights must create change. Blurring boundaries between human rights organizations and governments risks losing public trust. If such breaches of trust happen with too many organizations and too many times, the public may come to see rights groups at-large as another case of bait-and-switch. They may view human rights work as insincere public relations cover for selfish agendas; they may buy into the idea that all peoples are not ready for human rights; they may be persuaded that rights are able to be given or withheld according in part instead of their universal nature. These would be failures with lasting damage to people's freedom and dignity, all because of short-sighted organizations and governments who prefer to keep people under control. This situation is not only limited to Human Rights Watch, but needs to be addressed by all organizations where staff move seamlessly into and out of government without skipping a beat. The recent record causes concern. Onetime vice chair of AIUSA John Shattuck didn't speak out against the Srebrenica Massacre nor the Rwandan Genocide while Clinton's Assistant Secretary of State for Human Rights. Michael Posner, from Human Rights First, moved to the Obama Administration and failed to speak against using drones for secret extrajudicial killing. Samantha Power, from Harvard's Carr Center for Human Rights, has become the American ambassador to the United Nations and hasn't pushed to close Guantanamo or asked for intervention in Bahrain's violence against protesters and the abuse who sought the equality of the Shia majority there. When human rights abuses occur under the watch of these activist-politicians (or are they politician-activists, or are they just politicians), they deserve blame for their silence and complicity instead of voicing objections and giving witness in the United States and the world. There are real dangers in organizations' cozying to American political agendas and changing their behaviors to suit those agendas. All government have agendas, and they are not the agenda of the human rights community. Even when agendas overlap, there are different goals and aims to each. The human rights community must stay independent, vigilant, vocal, and loyal to the spirit of the UDHR. Much of the world has had their confidence for these human rights groups shaken by the revolving door relationship and the American public must speak out. Again, if human rights groups lose the public's belief in their independence, society may stop believing that a world of real and universal human rights is possible or worthy. There is already only a very small population actively involved in the human rights movement, which is a serious weakness in this struggle. In the US, a country of three hundred million, less than one million people are members of human rights organizations. Massive grants by Soros, Chuck Feeney and others may have expanded research, but have reduced grassroots connections and alienated people so that many now believe participation to be irrelevant. A balance must be found so people can and will connect with each other with belief and action. That is how to build a mass movement, and a mass movement is a prerequisite for any attempt to change the behavior of dictators, torturers, corporations, and governments. Without an awareness of the articles in the UDHR, how will people know that they exist or that they should be protected? Human rights should involve holding us all to the same standards, not in giving (nor getting) preferential treatment for one country over another in regard to rights. A single standard for human rights is the base and getting universal access is the goal. Independent organizations, balanced large donors and grassroots participation, and mass action are essential to get the movement forward. Instead, the human rights "industry" is often maintains offices in the developed West rather than building a human rights group in every country in the world, and that goes all too often for the staff. There should be offices in India and staffed with locals, offices in Kenya staffed with locals, and capacity developed and offices staffed all over the world. The future of human rights needs to be in those countries in need of protection, and that means everywhere: in every capital and every village, no matter the level of development or geography. Human rights are universal, and keeping the money concentrated in the Western capitals instead of creating mechanisms to move all peoples slows (and sometimes stops) the spread of ideas, awareness, and advocacy. Let us set the goal to have a human rights group, effective and nonviolent, in every country in the world. The money for human rights has been in western hands and some of those hands seem to now be submitting their agendas to the State Department for approval or rejection. Money could be centralized to support research and offer backup to a large network of local groups in each country, all working for the principles and spirit of the UDHR. That would be a step towards real human rights power, towards real capacity-building and not just the jargon of lip service. It would put rights advocacy into the hands of the people rather than leave it to governments and too few organizations. Call your Representatives and Senators (see www.contactingthecongress.org for how) and ask them to help close the revolving door between human rights organizations and government work and require, at minimum, a lengthy cooling off period. Tell human rights organizations that you donate to, volunteer for, or know about that independence from the government is critical and the lack thereof (even the appearance of such a lack) is unacceptable. Organizations should connect at the grassroots as the base and major donors should assist rather than dictate. We must increase networks to connect to people's hearts, to increase public trust rather than risk it. We must stop leaving human rights to the American government. Independent outside monitoring of human rights (and criticism) by organizations and other elements of civil society like a strong and investigative media (the decline of which is another alarming element of contemporary American life). Ask politicians everywhere all the time to increase human rights awareness and to advocate and empower the rights in the UDHR as a minimum. The American government must address their failures directly and fully. They must close Guantanamo, stop drone killings, cease military intervention as the go-to solution for problems, support education for all, and work to the life that all humans are entitled to. Long ago, both of the founding titans of Amnesty International, Peter Benenson and Sean MacBride felt that every person, in every capital in the world, should be operating at full-time to protect all of us from the abuses of governments. It is time that the current tide of abuse be reversed to empowerment, to hold all governments accountable to fulfill and protect the rights of all peoples, to have the UDHR and other human rights protections enjoyed by all. by Eleanor Roosevelt et al.